Alwaleed Bin Talal, the Saudi prince who is suing Forbes for defamation after a dispute over his net worth, has already spent £1.4 million ($US2.2 million) on legal fees, according to the FT. The self-proclaimed Warren Buffet of Saudi Arabia cut ties with Forbes last year after they released their 2013 billionaires ranking and listed him at $US20bn. He claims he was worth $US29.6bn. But in a preliminary hearing at London’s High Court on Tuesday, Alwaleed’s lawyer said that his billionaire ranking had nothing to do with the lawsuit. 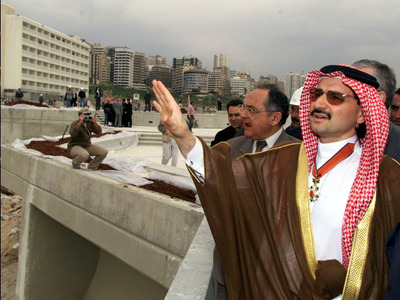 Instead, Alwaleed is suing the publication for defamation over allegations that he manipulated the share price of his investment fund, Kingdom Holding Company, and for claiming that he purposefully defaulted on an Airbus 380 payment. The FT said the libel trial could begin as soon as next year.